Jeffrey Tambor, who won critical acclaim for his portrayal of a transgender woman in the hit TV series "Transparent," was accused Thursday of sexually harassing a transgender actor on the show. 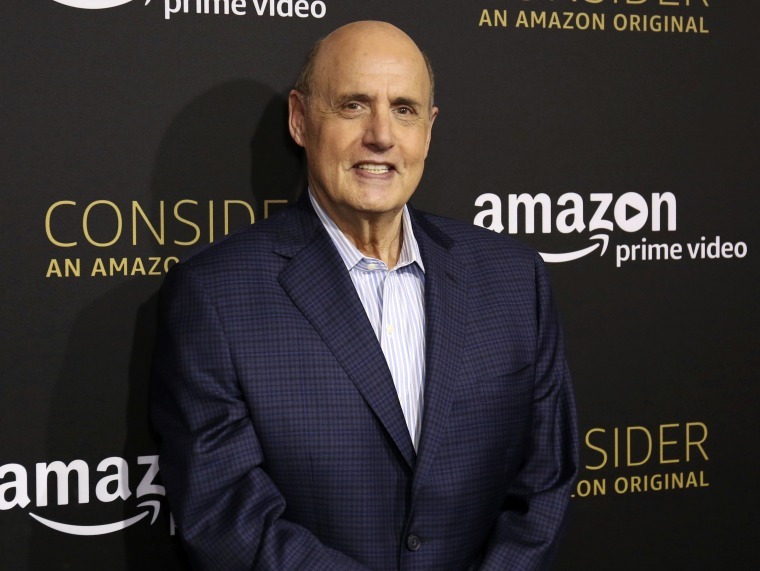 The allegation comes days after Tambor was reportedly accused of sexual harassment by his former assistant on the show, Van Barnes, who is also transgender. In a statement posted on Twitter, Lysette said the incident happened while filming season two of the Amazon series in which she and Tambor were dressed in "flimsy" pajamas along with another actor, Alexandra Billings. "I stood in a corner on the set as the crew reset for a wide shot. My back was against the wall in a corner as Jeffrey approached me," Lysette's statement read. "He came in close, put his bare feet on top of mine so I could not move, leaned his body against me, and began quick, discreet thrusts back and forth against my body." Lysette, who has appeared as a guest-star in multiple episodes of the series, said at the time she laughed off the incident. “I had a job to do and I had to do it with Jeffrey, the lead of our show,” the statement said. She said she hoped Amazon would use her testimony as “a teachable moment” instead of a reason to cancel the show, which she said had been “a guiding light” in the industry for employing more trans people than any other production in history. Amazon said it was investigating both allegations against the actor, according to Reuters. Tambor responded to the allegations in a statement in which he admitted he had "flaws" but denied any wrongdoing. “I am deeply sorry if any action of mine was ever misinterpreted by anyone as being sexually aggressive or if I ever offended or hurt anyone. But the fact is, for all my flaws, I am not a predator and the idea that someone might see me in that way is more distressing than I can express,” the statement said in part. The allegations come at a difficult time for Amazon Studios, whose chief Roy Price recently resigned from his job after reports surfaced of his alleged sexual misconduct toward an Amazon TV producer, CNBC reported.